Amabile such as friendship, intense as the pleasure, smooth as silk. The exceptional potential of aromatic wine Amarone della Valpolicella DOC (Corvina, Rondinella Corvine), distillation in extreme frankness, according to centuries-old tradition of House Bonollo and well-deserved rest in small oak barrels, giving the Grappa Of Amarone Barrique characters of uniqueness. 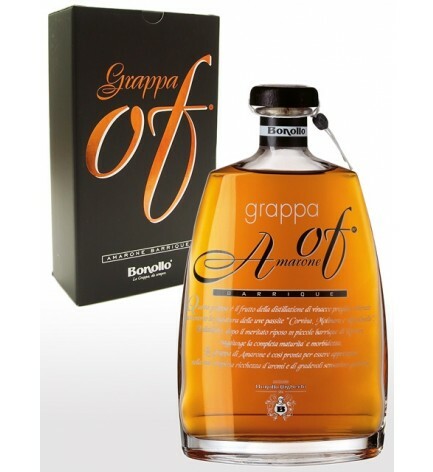 Grappa of Amarone Barrique no terms of comparison.